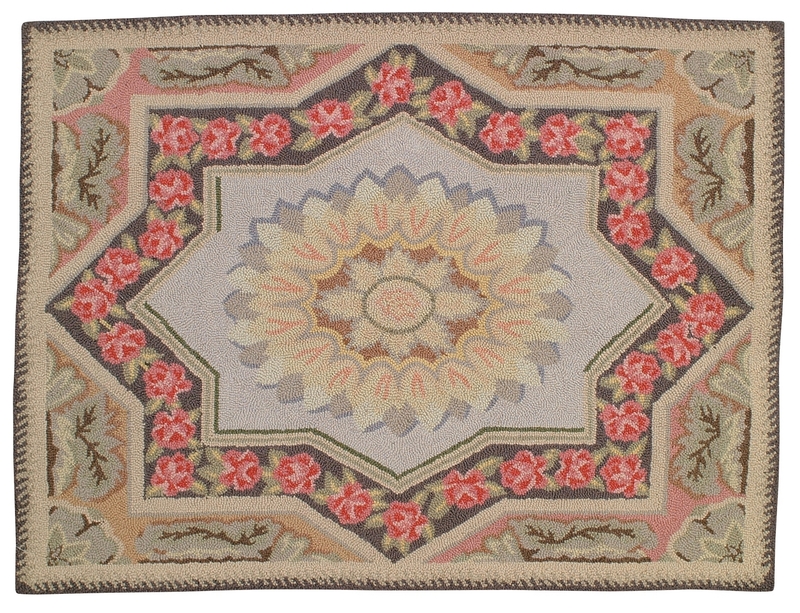 European style rug. Acanthus leaf Cartouches reflect typical French Savonnerie design, especially of Louis XIV time. 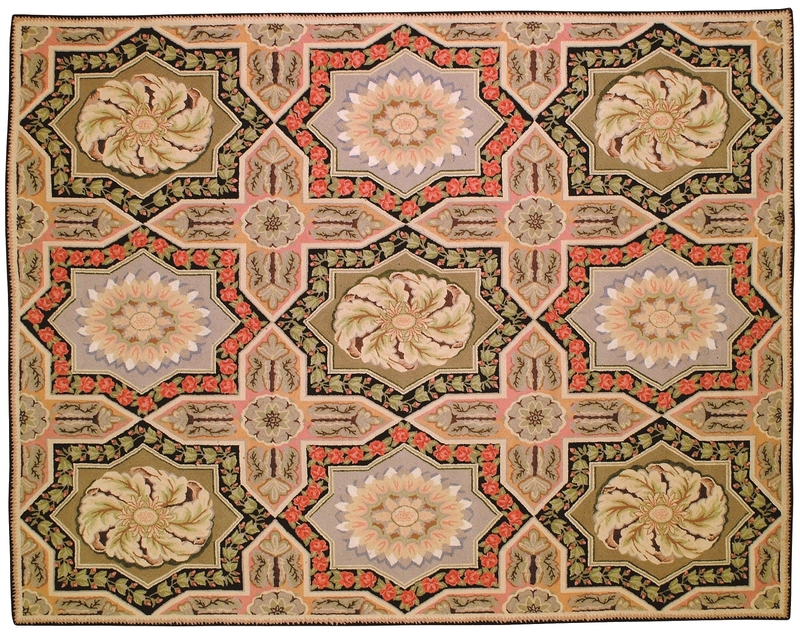 But the sectional layout is more reminiscent of English needlepoint rugs of approximately the same era. 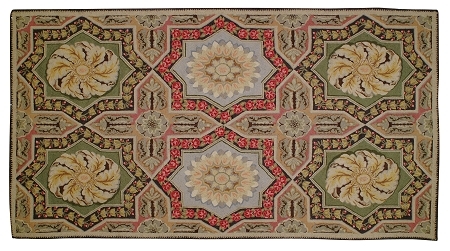 If you want to give a room a classy look then this is the rug for you. Made with petit point hook which has twice the resolution of regular hook for clear detail of the design. 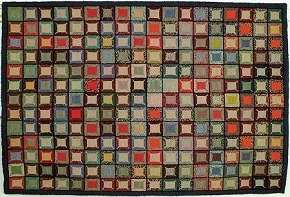 Hand made of 100% wool with a cotton cloth backing. Soft Oatmeal field color, Milk chocolate brown, Sage Green, Very pale butter yellow, Light Blue Grey, Soft gold, Muted pink.